There are 3 collectibles and 6 player spawns on every floor. 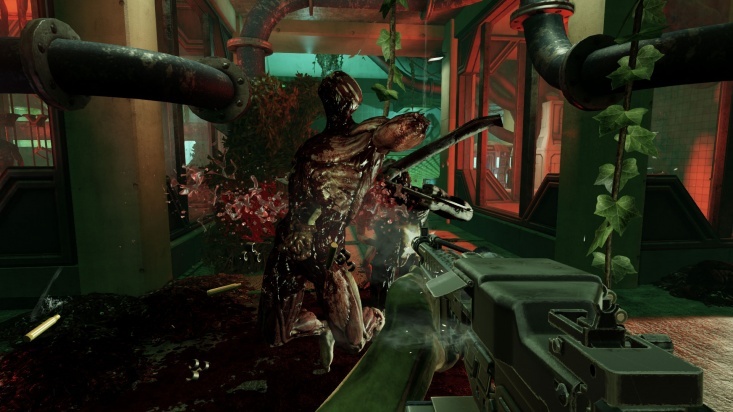 The Descent is a Killing Floor 2 map. 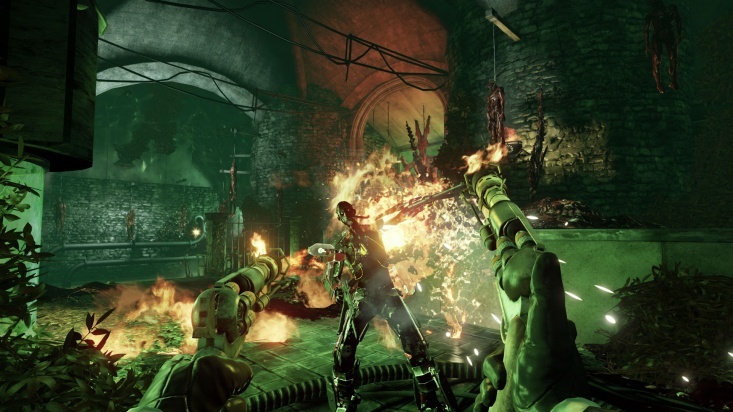 It was added in the game as a part of The Descent content pack. 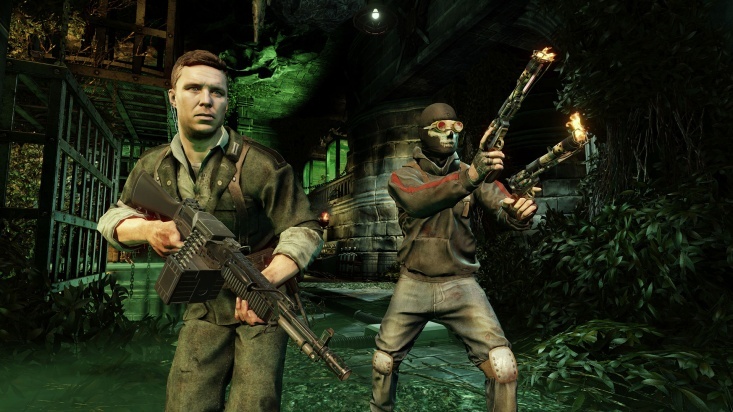 It is the first map to introduce the "Holdout" sub-mode that puts players into the close quarters environment and forces them to stand the ground without escape routes. 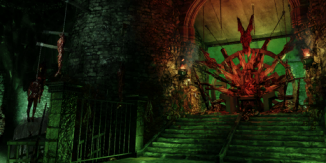 "The Descent is a series of underground chambers beneath Volter Manor. These rooms represent the more secure facilities used by Hans in his experiments and need to be cleaned out to put a stop to his terrible work." 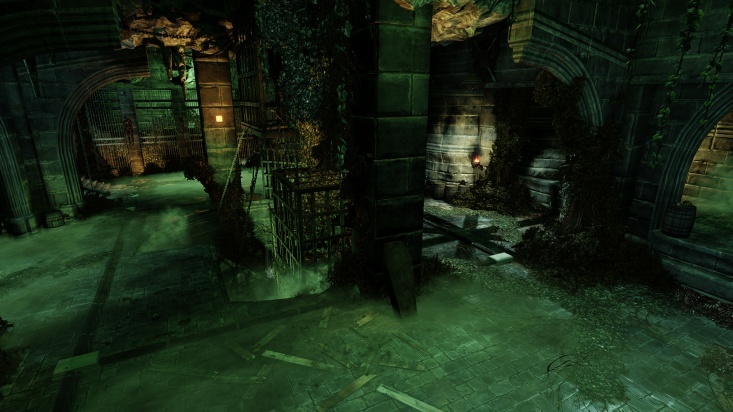 "Our first Holdout map, the Descent is a series of underground chambers beneath Volter Manor. Each wave takes place in one of ten different rooms, and the rooms are in a random order after the first, so each time you play you get different experience. These rooms represent the more secure facilities used by Hans in his experiments and need to be cleaned out to put a stop to his terrible work." The map contains total of 11 floors where the first and the last ones are always fixed while all the other are chosen randomly, once per game. Once the wave completed the doors that block ventilation-alike shaft are opened and players can proceed to the next, randomly choosen, sub-level. Each sub-level contains total of 3 collectables, a trader pod and 2 ammo boxes.